Mike has many years of successful design experience working for global clients like ExxonMobil, Reebok, Taco Bell, and Nike. 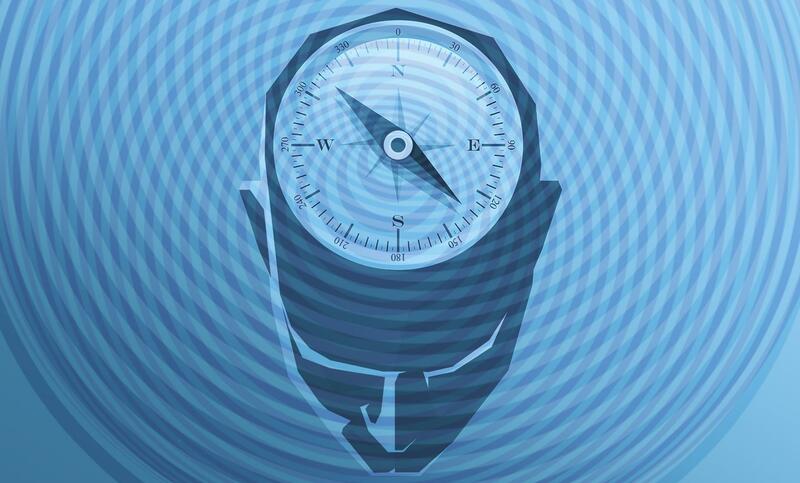 Designing an empathic experience requires total immersion into the lives of your target audience. As the UX professional’s precept “walk a mile in your customer’s shoes” implies, interviews, personas, use cases, user flows, journey maps, focus groups, etc. are involved in an educated attempt to accurately engage the people you most want to influence. But what about individual personality types? What really motivates a person? What do they truly value? What factors are playing out in their life that may impact or influence their ability to engage an experience? These are all intangibles we often have no substantive way of quantifying. Data science and data analytics can tell us a great deal about a person’s online habits. Interpreting that data can give us a glimpse into their lives. But, what about what happens away from the online world and inside their heads? This is where behavioral science can help. Behavioral science is the study of human behavior and decision making. It involves direct and indirect observation of people through a qualitative and quantitative approach. Using this method, you can observe specific behavioral types during the product design process. Distinguishing archetypes helps categorize people into larger groups. The value of this science, however, can be best found in situations where a person deviates from their archetypical norm. When people diverge from typical decision making patterns, we can implement nudges and other motivators to positively impact their behavior and bring them back into the experience. This practice has a great deal of value, especially in healthcare, where patient behavior is important to maintaining health and well-being. Let’s look at a basic model for determining a person’s personality type. Archetypes are based heavily on user or user group behavior patterns. They are defined by studying patterns of action during an experience: how and why people buy something—and why, and by what they are motivated to take action. By immersing yourself in their behavior, you see and experience things from their point of view. This results in a more accurate design strategy going forward. It also helps to more accurately mark and measure analytics that will be used later to iterate on the design solution. Why should you care about archetypes? By understanding a person’s archetype(s), you can “stand in their shoes” more easily. Immersing yourself in the process of learning about who it is you are designing for provides invaluable insight and authenticates your understanding of their concerns and challenges. The clarity gained by doing this will help you design with their needs fully in mind. The first step in determining a person’s archetype is to ask questions during a series of user interviews. You can then follow up with additional questions during their profile setup, and then more questions sprinkled throughout the product experience as they utilize it over time. The goal is to clarify information that tells you what they care about, what motivates them, and what they value. Determining aspects of their offline life—the life factors influencing their decision making—helps identify their mindset. Do they have debt? Are they are going through a relationship change? And so on. Life issues like these impact people in many ways. This real-life information is often used in healthcare solutions—its use also has value in consumer goods and other habit-based online situations. Interviewing potential users helps define product user archetypes. On the data analytics side, observing where people visit online—their shopping habits and social patterns—can also give us a view of their world. This data becomes more valuable as it is collected and interpreted over longer periods of time. Patterns slowly change as time passes, and by quantifying their activity and progression from this perspective, we begin to gather a story and a more in-depth picture of their life. Based on the information gathered, there are many different ways you can define archetypes. Some users may be on the competitive side, while others may be of a more herd type mentality. Some might be the soloist and yet others are the nurturing type, more selfless and always ready to help people in need. For further examples of design archetypes, see here. Are Archetypes Better Than Personas? Personas are great for defining an overall audience and its members, but they deal heavily with the facts and characteristics of a person and less about how they think. They define who we are talking to. 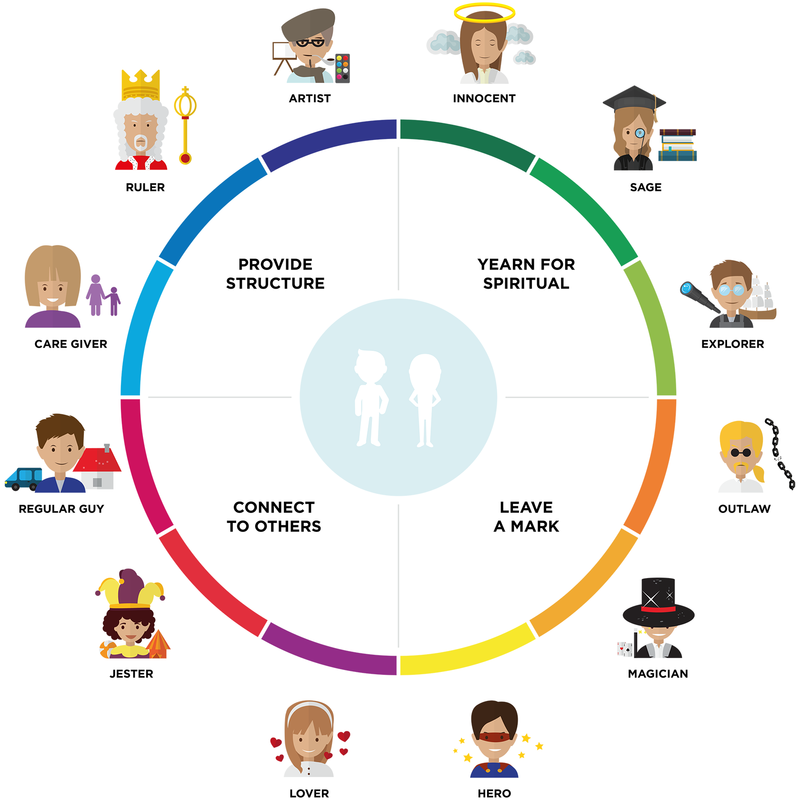 Archetypes dive more deeply into the behavioral patterns a person operates with. And, as we’ll see later in this article, even more importantly, the things that may cause an adverse reaction. When over time people deviate from what is usually perceived as their behavioral norm, it is usually caused by some form of cognitive bias. There are hundreds of different cognitive biases that have been thoroughly studied in the field of human psychology. In regards to designing for user behavior, we tend to think things will remain the same. It’s a dangerous assumption—not making an accommodation for change and the impact of biases can quickly cause a user to lose any motivation for continuing with the experience. Coupling archetypes with the cognitive biases of users gives you clarity when creating a strategic content matrix. The matrix would indicate ways to respond to deviations from the norm in users’ behavior. 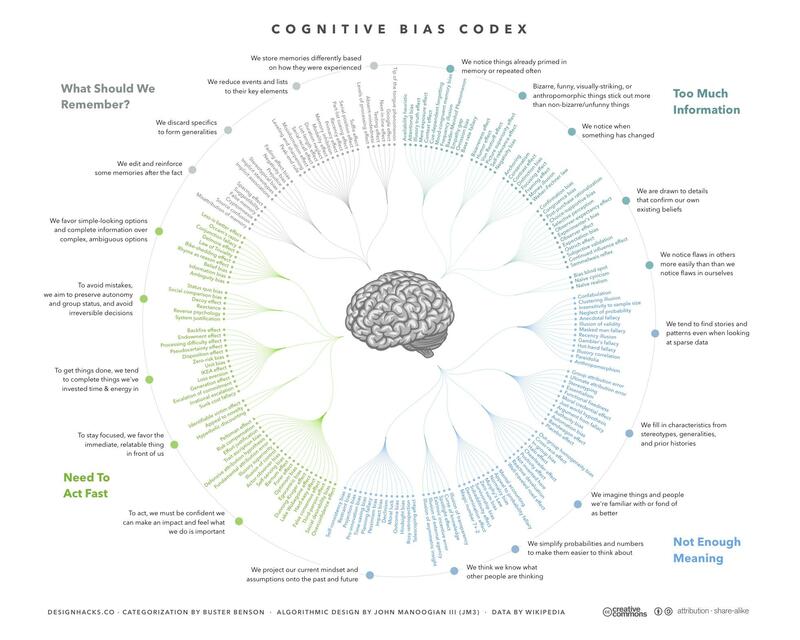 Let’s look at some of the larger biases addressed in behavioral design. Having a status quo bias usually means you are highly resistant to change. Status quo people must be strongly motivated to try something new. These are not new product early adopters. Designing for this tendency means slow incremental goals over a longer amount of time. Loss aversion is as it sounds: the tendency to fear losing something or not getting enough over time. This bias is often used by marketing to get you to buy a product now. Designing for this bias means highlighting what will be lost by not acting immediately. For example: an online service offers a 30 day free trial. Towards the end of the trial, you receive messages saying “Your trial is about to expire. Don’t lose out on this special offer - buy now!” Another common example: You’d better get those airline tickets now because there are only “two seats left”! This is the tendency to do (or believe) things because many other people do (or believe) the same things. It is the tendency to want to belong to a group. For example: have you ever gone to a travel or product site and seen a phrase like “45 other people are viewing this now,” or “35 people are looking to reserve a room at this hotel?” That’s a marketing technique to try to make you feel like you’ll be left out of the group if you don’t buy now. In many cases it also couples with loss aversion. Designing for this bias means highlighting what other people are doing on the site right now. Availability Heuristic is the quick assessment or decision about an issue, person, etc. based on current opinion. It is the tendency to make assumptions. Designing for this means making sure awareness of information isn’t assumed as users move through the journey. This also relates to the idea that if you hear something repeated long and often enough it must be true. Think impulse buying—getting a more immediate payoff with a discount. Hyperbolic discounting leads to choices that are inconsistent over time: People make choices today that their future selves would prefer not to have made despite using the same reasoning. For example, let’s say you want to buy flowers online. You go through the steps to get those beautiful roses delivered and, at the end, you are offered a series of add-on products like chocolates, a teddy bear, etc. all at a discounted rate, but only if purchased now. You may decide to get the add-ons or not. It’s hard to predict. Things like how you feel that day, what your reason is (positive or negative) for getting the flowers, how much is in your bank account, and whether today was payday or not all play a part in whether or not you add that extra item. Designing for this bias means working into the design a feature known as “FOMO” or “fear of missing out” if you don’t act now. There are hundreds of different biases out there. These are some of the more common ones used in design. Identify a group of them to use for your specific project needs. By creating a foundation for your design using behavioral science—defining a person’s archetype and understanding strategically how to design using cognitive biases, you can more accurately shape interactive experiences that dynamically personalize content. By learning about the person, their behavior, and bias occurrences over time, you can progressively tailor the product experience in order to keep them motivated. When combined, these efforts coupled with data analytics and data science are powerful tools that can help influence human behavior positively. Mike is a highly experienced and successful product, UX, UI, visual, and branding designer with many years of experience creating large- and small-scale designs. He has worked for global clients in many industries including ExxonMobil, Reebok, Taco Bell, Nike, and many others. He has also provided his design leadership and experience to startups in healthcare, higher education, and SaaS companies.